Last month, we showed you a chart from analytical firm Gartner that showed how the firm expects ear-worn devices to go from 21.5 million units shipped last year to 158.4 million units by 2022. If Gartner's analysis is right, ear-worn devices will top all wearables in shipments in just a few years. And to lend credence to these figures, TF International analyst Ming-Chi Kuo says that Google and Amazon will each produce their own wireless ear buds similar to Apple's popular AirPods. Kuo expects both firms to launch their new devices during the second half of 2019. Google already sells the Pixel Buds, and while these do not need a wire to connect to a phone, a cable connects both the left and right ear buds. That makes them different than the AirPods, which are two individual, wireless buds that fit into each ear. You might recall that a Google pop-up store employee last year, incorrectly told a customer to just cut the cable that connects the two ear buds. Pixel Buds do offer real-time translation and one tap access to Google Assistant, features we'd like to see carried over to its AirPods competitor. While Amazon doesn't have its own wireless ear buds yet, Kuo believes that it has the best chance of competing with Apple because of Alexa. The analyst says that the latter is the "best voice assistant service." Still, he expects wireless ear buds from both companies to do well. Google, he notes, is the "most influential brand in the Android ecosystem." And while AirPods do work on Android devices, they work much better with Apple's iOS powered products. There are a number of other companies producing wireless ear buds including Samsung, Jabra and Sony. All of these companies, including Apple, might have to deal with the marketing power that both Google and Amazon can bring to the table. Kuo expects Apple to ship as many as 55 million AirPods next year when Apple is expected to offer a new version with wireless charging capabilities. The analyst sees Amazon and Google delivering 10 million to 20 million wireless air buds combined during the second half of 2019. It'll be interesting to see how Amazon develops their earbuds. I hope they do a much better job than Google did with the Pixel buds. It's also just very interesting to me how recently Apple and Amazon have formed an almost partnership of sorts. Apple Music is now available on Echo devices and Amazon also sells Apple hardware officially since last month. It almost makes me wonder if Apple is looking at the pros/cons of continuing to develop Siri in-house versus just going ahead and embracing Alexa. I don't see them challenging the AirPods at all. They're to well known, too synonymous with ear buds, and nothing works with iPhones as well as they do. 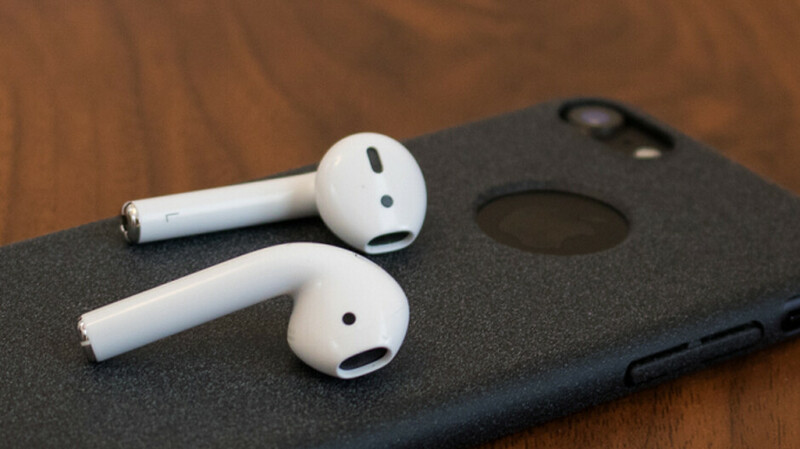 Apple has the earbud game on lock right now, cause its userbase won't really yet anything gs else. yeah, the airpods are really good at syncing with other apple products and they dont drop out like normal bluetooth devices. if i were to use a bluetooth device with my apple watch and then my iphone, the bluetooth device will always screw up with each other compared to the airpods. Do you ever have issues getting them to connect? Sometimes mine don't immediately pair, when I open them, and I have to press the button on the back. I use the AirPods for my Max, and iConx 2018 for my Note 9. Both are very reliable, but not perfect. I still think LG makes the best bluetooth devices though. I've never had an issue with LG, but I've never used LG wireless earbuds either though. LG make best bluetooth devices? Does even LG make BT devices? LG makes great refrigerators, but really poor sounding headphones. Not to mention no "serious headphones manufacturer" makes earbuds anymore - reason obvious. You have you preferences, and I have mine. I certainly have, but LG make how many BT headphones? 3? They certainly are not experienced and are ... poor sounding. Even something like a Bose Soundwear destroys LG version ... Bose being better, that is just sad. Not including LG headphones but B&O is another clue you might be searching for. BTW my main driver is LG V30+. mine connects right away when i open them. I get a bug once a month where the airpods wont play on the max but works on the watch but other than that, its perfect. Yeah, I get that sometimes. I wish we could select which devices signed into to iCloud, we want them to play with. Overall they're great pods. What BT headphones you know drop out? I use Somy, BOSE, Beats, Sennheiser and AKG and none of them have ever given me issues with dropping ornloss of signal. I wear them during some pretty heavy spring activities and it's been a pleasant experience. Both Apple and Google have their accessories pricing mark-up but the qualities are inferior to the third party manufacturers. Not sure why so many people want to pay for the premiums. Hopefuly they can at least match QCY T1c that costs 20$, when it comes to sound quality. Do you own these? How’s the experience? It pretty much has the same range as sony wh-1000xm2 and airpods, it's faster (response to play/pause), mic is simply garbage, battery life is on par (or even better) than airpods, case does not have cover so it's a dust magnet, they are really light and confortable. perfect passive noise isolation. So far I heard them for 10-15 hours and to be honest I am really impressed how they sound - not overly basy, for vocals I need more time to decide. So far best 20$ I have thrown away out of curiosity and for reference. I wonder if BT5.0 is the main reason they are so good. Love the AirPods but thinking of getting something for running. Maybe the jabra elite 65 or the ones Bose makes. Anyone try the Plantronics back beat 3100? If the can get great earpub for 60-70 I might interesting. No matter how many companies produces accessories I would still prefer Apple products, no matter the price. We know, you didn't even need to post that. What you said is as obvious as saying a square has 4 sides. And there os nothing wrong with that. But then, even though I'm happy you didn't do it this time liking or having a favorite product doesn't mean you have to talk trash about anyone else's product, because Apple especially does not make the best product in ANY category. What for Amazon? There are literally 1000s of headphones already available. We don't need anymore. Have see what brand is the top seller right now.